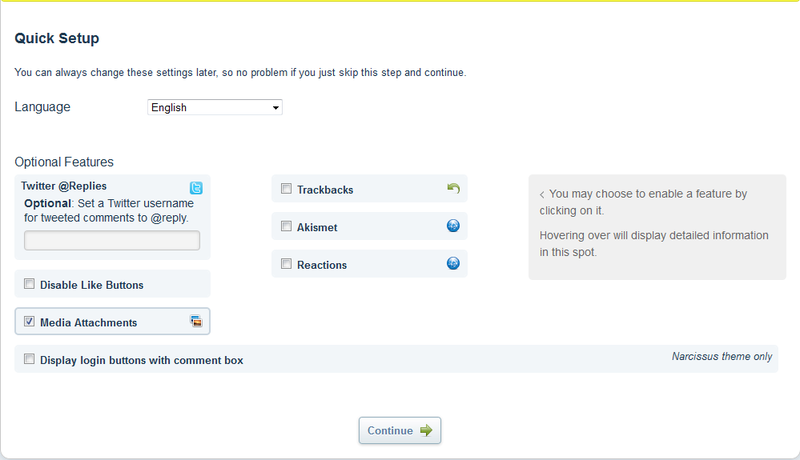 DISQUS is a comments platform that helps you build an active community from your website's audience. It has awesome features, powerful tools, and it's easy to install. 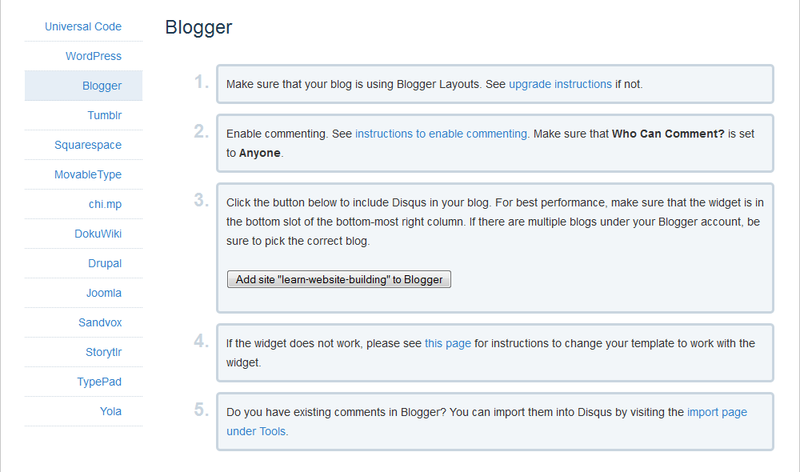 Dicqus is one of the most popular commenting system presently used online today. 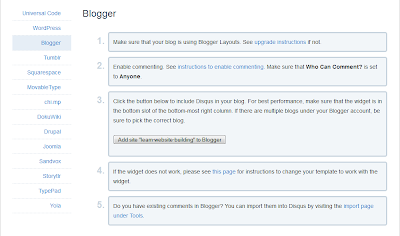 If you are unsatisfied with the current Blogger comment box, then Disqus might be for you. 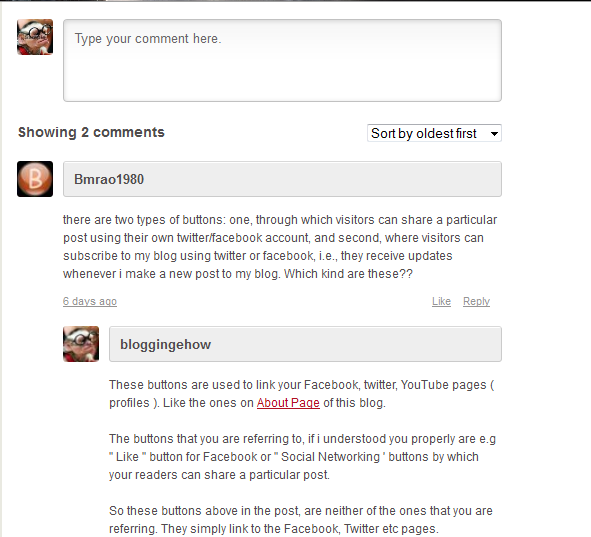 The comment system is extremely easy to implement on your blog / website and takes few steps to be followed. You just have to install the Disqus widget on your blog. 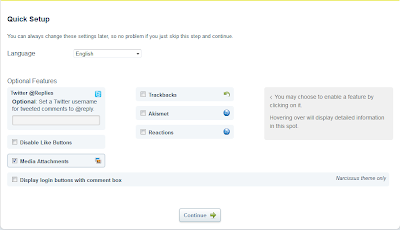 Follow the steps below to install Disqus Comment System. Go to Discus website. You would see a page like this. Click "Sign Up"
After clicking sign up button you would be taken to the following registration form. Fill in all the details regarding you blog / website and about yourself. Once you are done, click "Continue"
Once you have set the preferences again click "Continue".